Just like your personal identity makes you uniquely you, your brand identity is what sets you apart from every other company or organization on the block. Your brand identity design is what shapes your company! But what exactly is brand identity? How do you shape a strong brand identity that takes your business to the next level? The terms “brand,” “branding,” and “brand identity” are sometimes treated as interchangeable, but that’s not always the case. Maybe you start shaping up on your free throw skills, then you start working on a hilarious impression of Mrs. Smith, your history teacher. These actions are the work you’re putting towards developing your desired image; your branding. Last but not least, you need to make sure you look the part. You save up your money to buy the newest hot basketball shoes everyone wants. You get a new hairstyle. You try out for (and join) the schools hottest sports team. Those tangible elements—the shoes, the hair style, the sports team membership— all of that is your brand identity. 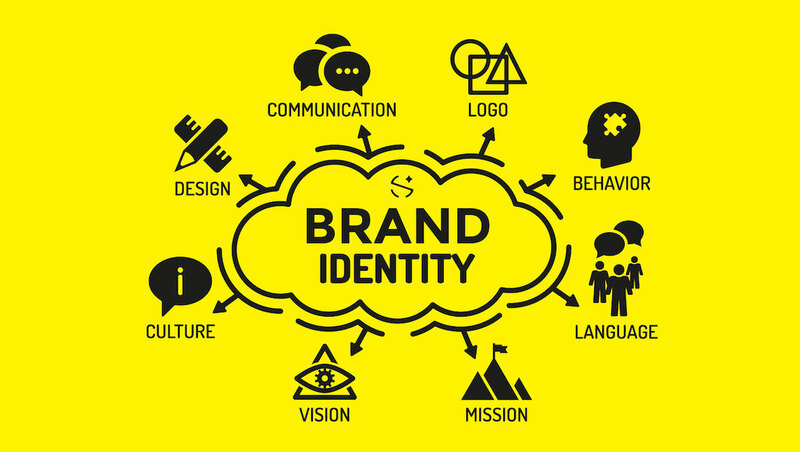 So, how do you develop a strong brand identity? — Know who you are. All of these things combined are what define your brand, and before you start building on your brand identity, it’s important you have a clear understanding of each of them. Once you’ve locked in who you are as a brand, it’s time to build the identity that will bring your brand to life and show who you are to the people who matter most: your customers. The next step in the process is brand design, and putting together a brand style guide, but that’s a blog for another time. Stay tuned!